Now it its seventh year, Rochester's annual home-grown mural festival, WALL\THERAPY, is back this week with a scaled-down but nonetheless ambitious event. This year's event features a tight roster of just six artists invited to paint walls around the city, as well as the second annual Art & Activism conference. The 2018 festival kicks off Friday, July 20, and continues through Sunday, July 29. WALL\THERAPY lead curator Erich Lehman says the festival's smaller scope is in part due to grassroots fundraising challenges (though the team got a later start this year, the fundraising goal was reached). But the scale is also smaller because the team wanted to offer a more intimate experience this year between artists and the public, not unlike the original "Visual Intervention" that was held quietly on Troup Street, around the Public Market, and a few other spots downtown in 2011 — before W\T began hosting dozens of artists each summer, kicking off the fest with block parties, and presenting breakout events during the springs and autumns. "We've also been working to make WALL\THERAPY a more sustainable endeavor, Lehman said via email. "We're about to work with a few amazing grant writers to better leverage the work we've done and, more importantly, what we want to do, especially expanding youth engagement." This year's festival and conference theme is "representation," which Lehman says is a continuation of the direction the festival took in 2017. 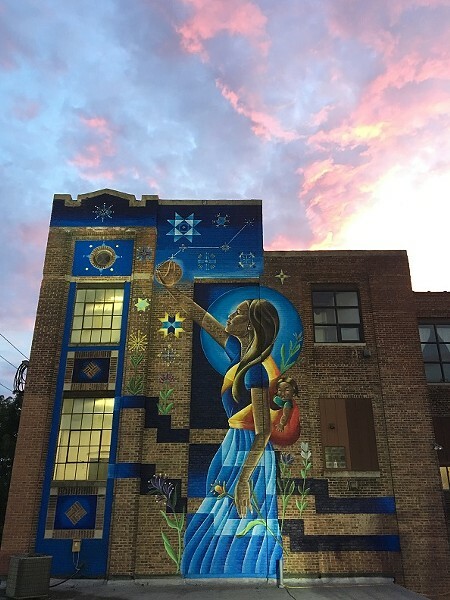 "Our curation includes artists whose work represents communities whose voices are not being heard or populations who are not as well represented in the mural circuit itself," Lehman said. The artist lineup includes a couple of familiar faces: New York City-based artist Alice Mizrachi is a 2014 W\T alum, and new-to-the-festival artist Salut is based in Rochester. This year also marks the first time a deaf artist — Richmond-based Nico Cathcart — has been on the W\T roster. "We're excited to expand our representation to a community so prevalent in Rochester," Lehman said. 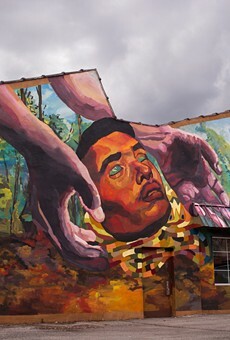 Also new to WALL\THERAPY is Albuquerque, New Mexico-based artist Nani Chacon, Queens-based artist Joe Blens, and New York City-based artist Vincent Ballentine. The Art & Activism Conference is scheduled for Saturday, July 28, from 10 a.m. to 6 p.m. at Visual Studies Workshop (31 Prince Street). In addition to a number of panels, the event will feature keynote talks by artist and UR professor and Art & Art History Department chair, Joan Saab, and RJ Rushmore from vandalog.com, as well as something special from the folks behind the upcoming "WHOSE STREETS" photo exhibition that's coming to Rochester in the fall. The full schedule of panels will be posted at wall-therapy.com soon. Lehman says that as always, the community is welcome to visit the walls, talk with the artists, share stories with the artists, and help inform them about Rochester during their visit. And a dance party will be held at Lux (666 South Avenue) on Thursday, July 26, called VINYL\THERAPY that will feature an all-records set with LUX locals DJ Keven and Ben Frazier. 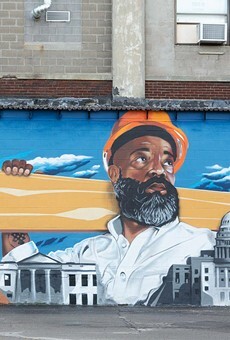 Follow the action on social media channels: @walltherapyny and @roccitynews. Visit wall-therapy.com to learn how to volunteer, or donate to the fundraiser and get great gear. Additional content and images will be posted online here at rochestercitynewspaper.com.